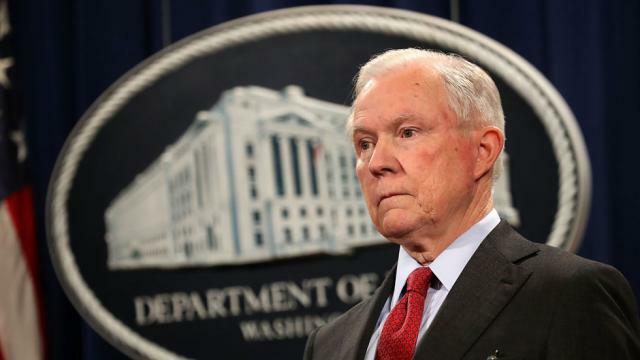 Jeff Sessions sends California a strong message on immigration - Integration Through Media ....! There’s more than a little historical irony here. In response to the Trump administration’s initiatives to restore order in and respect for the nation’s immigration laws, the California State Legislature passed, and liberal politicians and business and entertainment elites of the state are vocally defending, three laws which openly defy the U.S. Constitution and challenge the Union. The California regulations are dedicated to maintaining a traditional way of life, and protecting economic and political power built on the manual labor and, eventually, the votes of an illegal class of workers. By protecting the institution of illegal immigration, the California laws not only usurp federal prerogatives (to the detriment of less affluent Californians) but also undermine law enforcement far beyond the borders of the state. Therefore, the Justice Department this week initiated court proceedings against the rebellious state challenging the constitutionality of the three statutes. So, deriding California’s “irrational, unfair and unconstitutional policies,” Attorney General Jeff Sessions began his march to the sea. It is a script just made for Hollywood. According to the Los Angeles Times, the three laws which the Justice Department is challenging make it a crime for business owners to voluntarily help federal agents find and detain undocumented workers, prohibit local law enforcement from alerting immigration agents when detainees are released from custody and create a state inspection program for federal immigration detention centers. Of the three, the regulation directed at business owners is by far the most critical. The policy on state inspection of detainment facilities is a nuisance but can be overcome by moving such facilities out of the state (which, incidentally, would make family visits of an incarcerated illegal alien more difficult). The policy on refusing to honor Immigration and Customs Enforcement detainment requests is canonical to the sanctuary movement. This statue concerns so-called “criminal illegal aliens.” To the extent that the Trump administration and ICE focus solely on this subset of illegal aliens it is not combating illegal immigration so much as it is managing it. The fact that California legislators sought to protect illegal immigrants in the workplace and specifically to undermine any possible voluntary cooperation by business owners with ICE reveals that they know where the true vulnerability of the illegal immigration edifice lies. The statute, known as AB 405, prohibits employers from allowing ICE agents on business property without a warrant. Also business owners must alert their employees within 72 hours of ICE inspection of employee records. Americans have been lectured for years that the number one reason for not simply enforcing all immigration laws is that it is impossible – resources are simply not sufficient. Experience in Trump’s first year however demonstrate the extreme sensitivity of illegal immigration – even to mere rhetoric. At the beginning of his presidency Donald Trump “roared” and citizens in Guatemala and El Salvador stopped sending their children on top of trains to the U.S. border. While talk of DACA amnesties have compromised that positive influence of tough talk on immigration, the press continues nevertheless to be filled with stories about terror in the immigrant community in response to “ICE unleashed.” This “terror” also suppresses border crossings and will, in time, result in repatriation of illegal aliens. And it is greatest when it is centered in the workplace. But consider the potential for terror in the business community. Suppose that ICE decided to raid five prominent restaurants in downtown San Francisco on some Saturday evening. According to Eater.com as many as 20% of all cooks across America are illegal aliens. Suppose that DOJ then sought jail time for convicted owners. (The maximum penalty for harboring illegal aliens is 5 years). And suppose on the following Saturday they did the same thing all over again. How many restaurant owners wouldn’t immediately enroll in E-Verify? Would California then become the first state to prohibit employers from using the program? In 2016 regular Americans voted for Donald Trump in large numbers because they simply didn’t believe that enforcing our immigration laws was impossible. They certainly did not accept eight years of George W. Bush and eight years of Barack Obama as proof of such. Law enforcement professionals know, as the experience of “Broken Windows policing” in New York City has shown, that 5% enforcement yields 95% compliance. The empowered elite in California know this too. Steady pressure and the will to challenge both the open-borders left and the business-first right are the keys to steady progress.